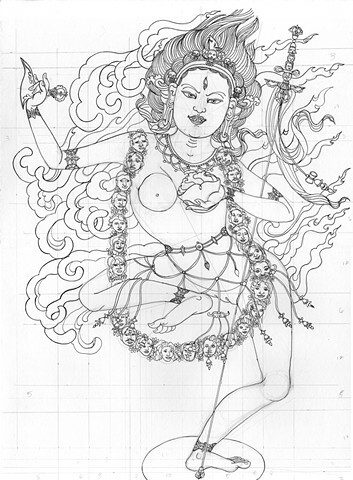 An energetic drawing of VajraVarahi who frees devotees from Samsara. In this drawing I used heads from various family members for her freshly severed heads garland. The severed heads represent cutting off ego clinging. i thought this was a good way to set my family free. I show the traditional thigse proportions for drawing this goddess.